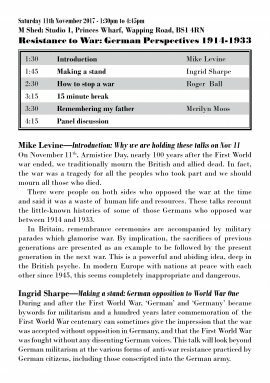 On November 11th, Armistice Day, nearly 100 years after the First World war ended, we traditionally mourn the British and allied dead. In fact, the war was a tragedy for all the peoples who took part and we should mourn all those who died. 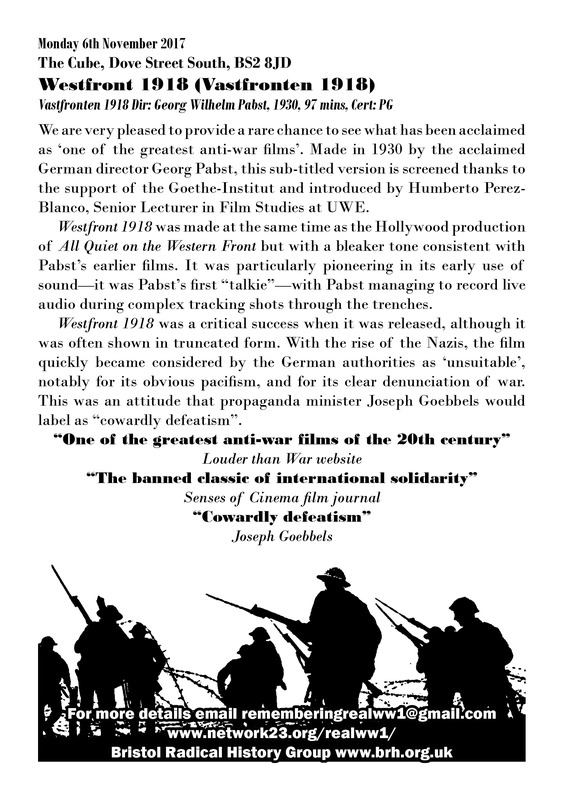 There were people on both sides who opposed the war at the time and said it was a waste of human life and resources. 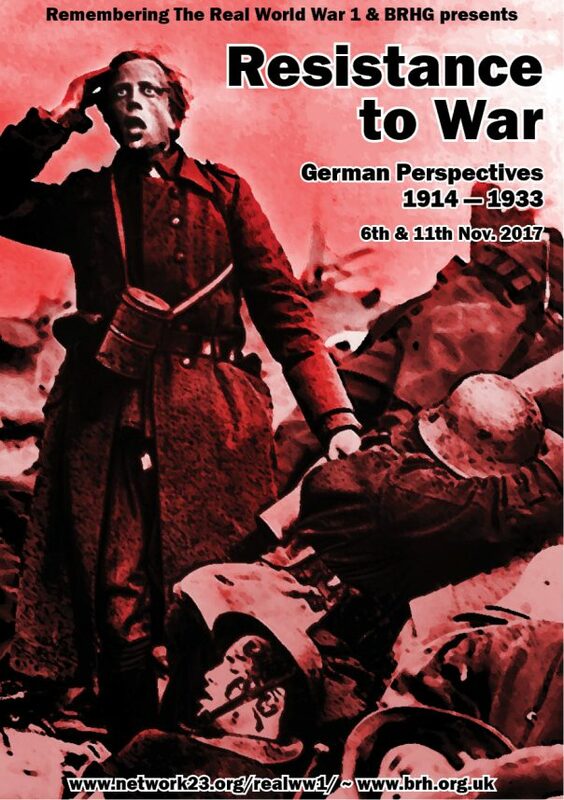 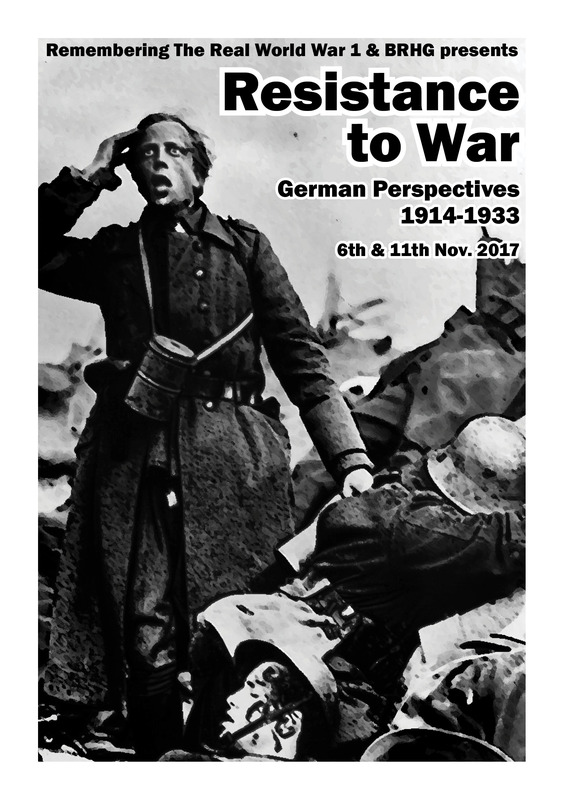 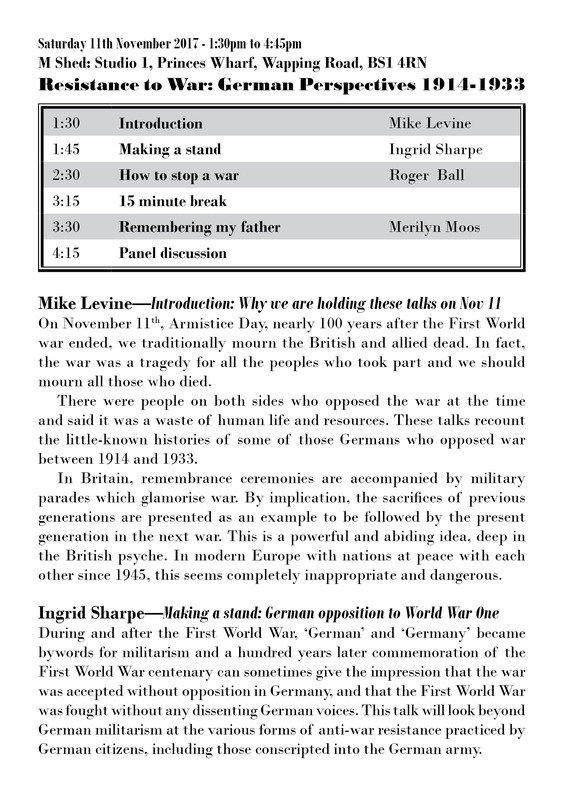 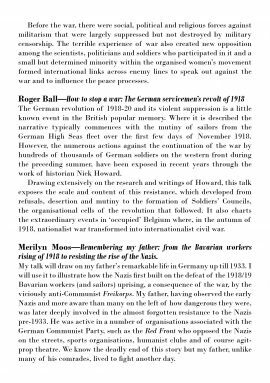 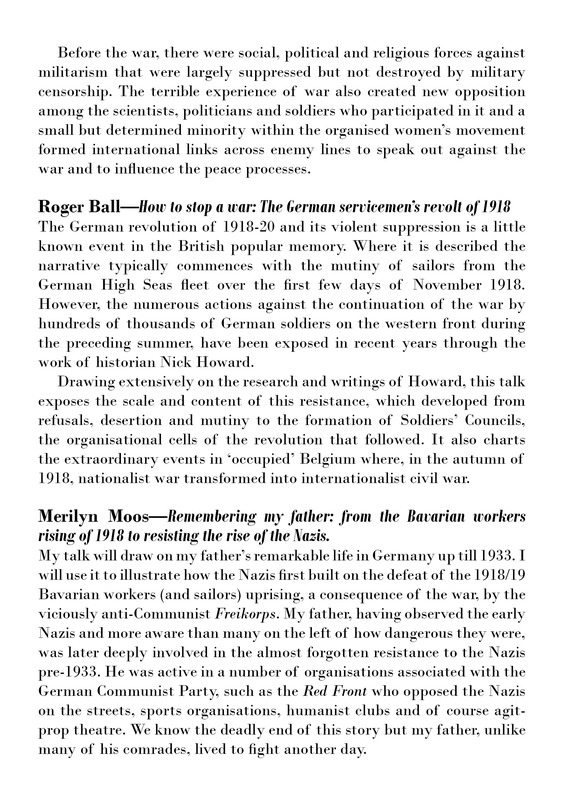 These events recount the little-known histories of those Germans who opposed war between 1914 and 1933. 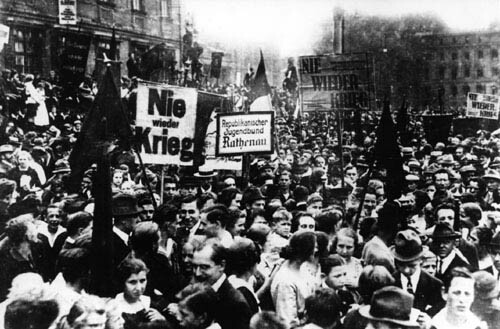 These included mutinous servicemen and rebellious workers who brought the down the German monarchy, the ruling military dictators and ended the First World War, as well as those who opposed the nationalist reaction in its aftermath.